Guests can partake in the gardening experience onsite by making “flower flairs” mixed with clay, soil and seeds, with the option to take it home to plant or launch it into the gardens for wildflowers to be grown. Also new this year are the Living Magnolia Tree and living vines. Their methodic movement showcases an artistic interactive performance at various times throughout the day. Percussionist Kofi Mawuko is also onsite for an immersive musical experience! See remarkable Birds of Prey shows with Wings to Soar hosts John and Dale Stokes as they return with Rock City Raptors at 11 a.m., 1 p.m., 3 p.m. and 4:30 p.m. in Critter Classroom. Scale the Climbing Wall at Lover’s Leap, learn how to build a rain barrel and how to use recycled materials for an innovative make-and-take project. Kids can dig for a geode, meet Rocky and receive a passport filled with activities including Rocky’s Riddles: an interactive QR code game with a prize upon completion. Walking in Frieda’s Footsteps Tours are also available to learn about Rock City’s founding gardener, as well as recycling facts, pollinator plants and native species. Café 7 is now open for the season. Enjoy breathtaking views during lunch while savoring southern cuisine such as the “Beyond Meat” burger and several other plant-based menu items during the event. Or, choose returning favorites such as the Shrimp and Cheese Grits or Fried Green Tomato BLT. 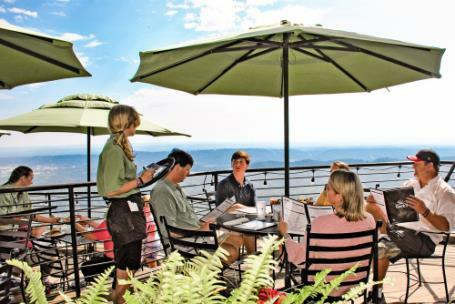 The outdoor restaurant is open Thursdays through Sundays from 11 a.m. – 4 p.m., then daily beginning Memorial Day weekend. 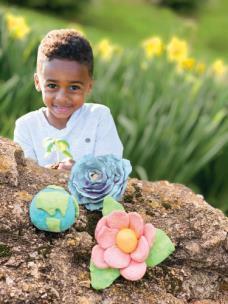 For a sweet treat, try one of Café 7’s delicious desserts, dirt cake and gummi worms from the Big Rock Grill, or stop by the Fudge Kitchen for the EarthDayz “garden path” fudge. Also, brand new at Café 7 is a pet menu. All leashed pets are welcome at Rock City anytime. 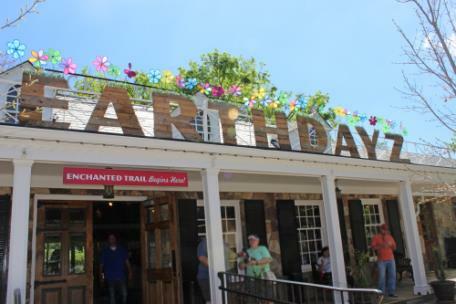 EarthDayz revolves around Rock City’s commitment to reduce, reuse and recycle, its stewardship of nature and its commitment to education and the environment. Rock City is partnering once again with Orange Grove as they provide park-wide recycling pickup for the attraction. PHOTOS: Phoenix And Sedona, Az.